D.C. medical marijuana clears final Congressional colonial hurdle / Medical marijuana use authorized at VA hospitals in medical marijuana states | Jon Katz, P.C. When my clients lament being arrested for possessing their medicinal marijuana, I sometimes have pointed out the states where it is legal to smoke marijuana for medicinal use. Today is cause for celebration that the District of Columbia’s medical marijuana law yesterday cleared the final Congressional colonial hurdle. 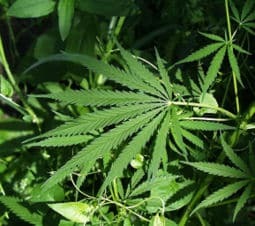 Legally dispensed medical marijuana should become available in early 2011 in the District of Columbia. I imagine that medical marijuana users from neighboring Maryland and Virginia will also wish to take advantage of the D.C. law, even if that means moving to D.C., and boosting the city’s real estate values. The week gets better with the news that state-authorized medical marijuana will be permitted to be smoked by patients staying at Veterans hospitals.